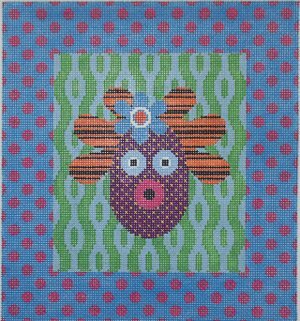 Mrs Potato Head whimsical needlepoint by Emily Owens from Maggie Co. featuring our favorite child's toy in a colorful background and border. Mr. Potato Head is also available and a perfect compliment to Mrs. Potato Head as they have the same background and border.